Kindly Find A List Of My drawing & digital art books, some of these books have a PDF version, while some are only available on KDP. Using a Wacom graphics tablet, and graphics tablets in general, is great way to draw & create artworks on the computer. However, it can be tricky to use at first, either when it comes to getting used to it, setting it up, solving the different problems, as well as drawing with it to achieve good results. “Getting started with Wacom graphics tablet and Digital Painting With Photoshop” aims ot make it easier for you to get started on digital art on strong foundations. Both when it comes to your tablet, as well as how to get started with Photoshop in a practical way, without boggling you with a lot of text. 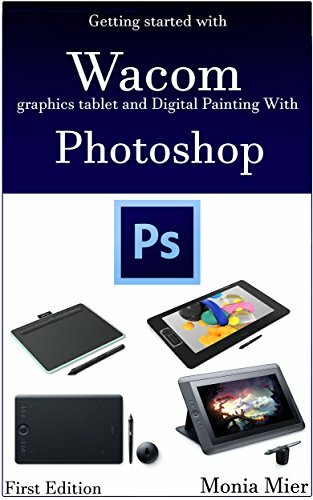 While this book focuses a lot on Wacom tablets & Photoshop, many of the concepts in this book apply to other graphics tablets brands, like Huion, Ugee, Monoprice & more. Many of the tips for Photoshop applies for other drawing software too. 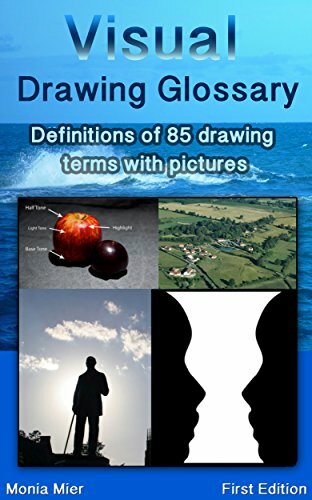 Visual Drawing Glossary aims to make it easier & faster for anyone to learn drawing terms, this is done by incorporating a picture for almost all the 85 term explained in the book. All the definitions in this glossary are written to be as easy to understand as possible. Learn Photoshop CC With Pictures aims at teaching you how to use photoshop as much easily as possible, it uses pictures as the primary method for teaching the concepts of the Program. The contents of the book are ordered so that you could achieve methods faster, as it focuses on the important Photoshop tools first, then goes into the less important yet useful one. 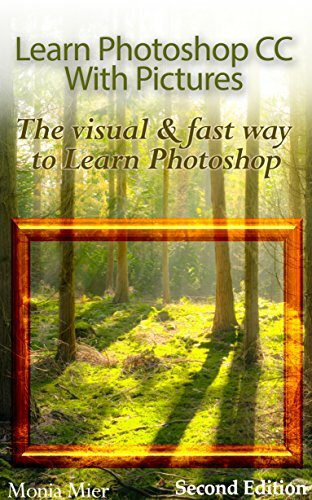 The visual nature of this book, and the easy language of it makes it suitable for Photoshop beginners, but many medium-level users can find it useful too. Using pictures to teach you Photoshop made easy to write a book so that it won’t contain a lot of text compared to the other Photoshop books. This second edition comes with a blending options chapter, which explains blending options in details.